Over 1000 generally positive customer reviews on Amazon, says that many people have found this product to be of use in their attempts to relieve lower back pain and discomfort. 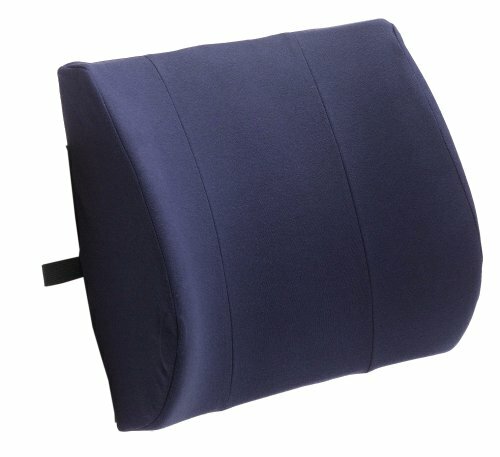 The Relax-a-Bac is essentially a supportive cushion that you can use anywhere from your car to your computer chair. The manufacturers have designed a good degree of durability to the product which means it should keep performing even after a lot of continuous use. The manufacturers claim that the design is “orthopedic” which implies that there is some science behind the actual shape and size. We cannot comment on this other than to reiterate that it does seem to work as advertised. The cushion is held in place by straps although for casual use, it would work fine without them. A nice feature is that the cover is removable so it can be washed – a big plus over the longer term. The only negative that is commented on sometimes, is that the product can smell (plastic?) when the packaging is first opened. Most people do not seem to notice this but perhaps some examples are worst than others. For the very reasonable price of around $16usd, and with so many positive reviews, the Relax-a-Bac seems great value for someone needing a flexible seating support.